“Apples & Pears – Come Buy My Wares” – But not in Doncaster! As market vendors went off to war, there was a scramble to take up their stalls, sometimes by other members of the family or often other stall holders requesting to transfer their pitches to vacant stalls, perhaps being in better location than their own. Often the Market Committee gave permission for this to happen on the proviso that on their return from the war they could return to their stalls. At Woods Fish & Rabbit Merchant, Sam Wood asked for permission to take over from his brother who was killed in 1916, himself having just been released from the army, his late brother having had the stall for 9 years. A variety of goods were being sold e.g. pheasants, small birds, hares, rabbits, geese, caps, braces, temperance beverages to name but of few. 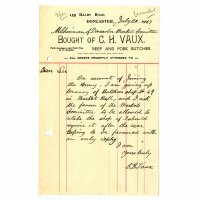 In September 1916 a petition was sent to the Market Committee asking them to consider an extension of the lighting arrangements until 9.00pm (the market was open on Saturdays until 10.00pm). The wartime restricted lighting was causing people living on the outskirts of the town to visit Mexborough and Wakefield where the lighting restrictions were not so strictly enforced. It was suggested that a more subdued lighting arrangement be allowed, and in the event of an enemy air raid, the police could give a warning for all lights to be extinguished. 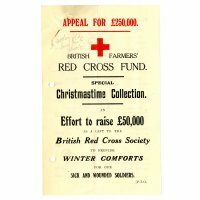 In October 1915 The Doncaster Musical Society, wishing to hire the Corn Exchange, agreed to an experiment of putting green paper shades on the lights on the upper balconies so that no gleam can possibly reach the roof. They hoped this would allow them to light the area while complying with blackout measures. 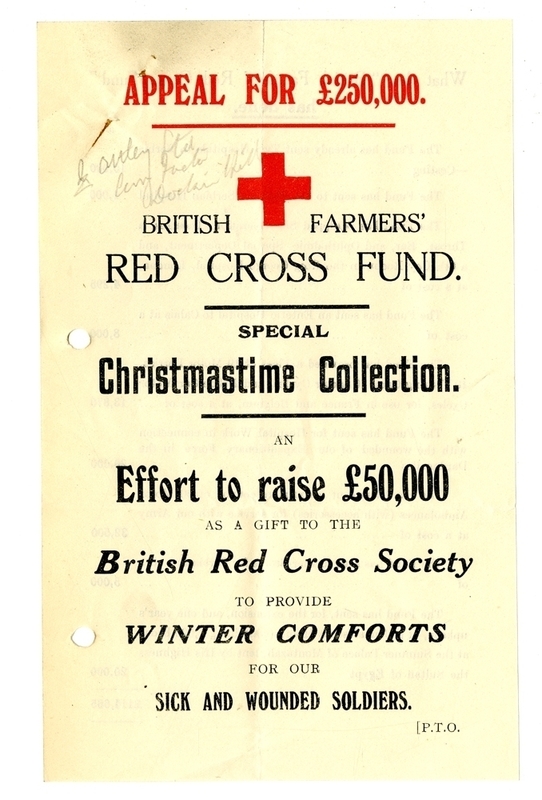 The Corn Exchange was hired out for dances, whist drives, boxing tournaments, cinematographs and lantern shows showing the fighting forces at the front, many to raise funds for the war effort and local auxiliary hospitals. If light was needed after 11pm this would be charged at 7/6- per hour. 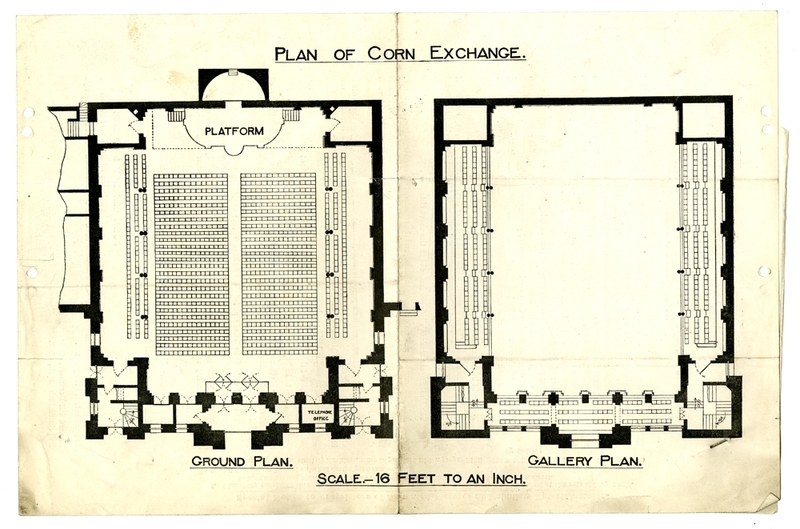 Other costs included the hire of a platform for £3 and the removal of school desks for 25/- to 30/- (the Corn Exchange was used as temporary school accommodation when the military had taken over the schools). As the war raged on and hardships took hold, many vendors ask for rent reductions to make ends meet, officials ask for pay rises or war bonus payments and, as food controls tighten, many disputes arise. Police were called to a near riot in January 1918, concerning the Market Superintendent Mr Cromwell and three Butchers Messrs: Best, Clay and Dobson. There was a very large queue of people outside in the heavy pouring rain, and it was decided by the Market Superintendent that the queue of about 100 people should be allowed inside on a first come, first served basis. Mr Dobson was not in agreement and let one woman in the shop and locked the door. It was pointed out that it would be impossible to keep the people in order if Mr Dobson was only going to serve his regular customers. At this, Mr Dobson flew into a temper, causing an argument which, knowing there was very little meat on the premises, incited the crowd. Mrs Phillipson of Spring Ville, Thorne received a caution for selling underweight fruit and veg and was warned that any repetition would result in prosecution. It wasn’t only the market traders who received warnings, in 1919 Hodgson & Hepworths were reprimanded for selling underweight bread in accordance with the Bread Order of 1918. Public buildings were taken over by the military, including some of the market area. RAF Pontefract (May 1918) acquired the North Wing of the Market Hall. The Town Council were most concerned, stating that the occupation would seriously interfere with the food supply from the country districts. 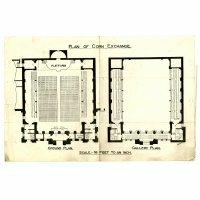 A large number of butchers, greengrocers, butter, eggs and poultry vendors would have to be turned out of the Market Hall, and the worry was that the trade would be diverted away from Doncaster and the effect would result in a general shortage. 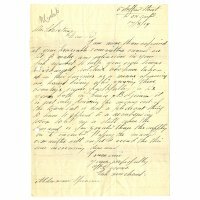 The Town Clerks replied that the military have taken over this part of the market and that Mrs Rust will be re-instated on their departure. Doncaster & District Butchers Assoc. complained they had been moved from their shops due to military requirements and are being asked to pay increased rents. 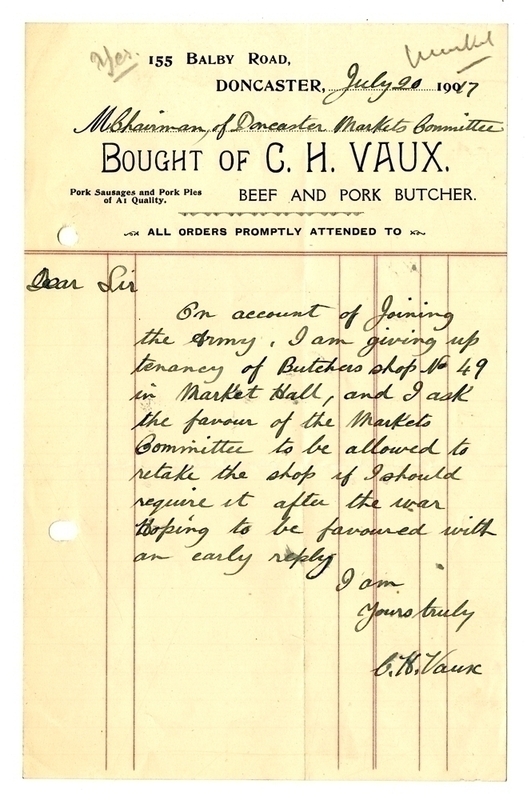 The Market Committee received many letters during the early months of 1919 enquiring for how much longer would the military occupy the market, as loss of trade was having a detrimental effect to livelihoods. 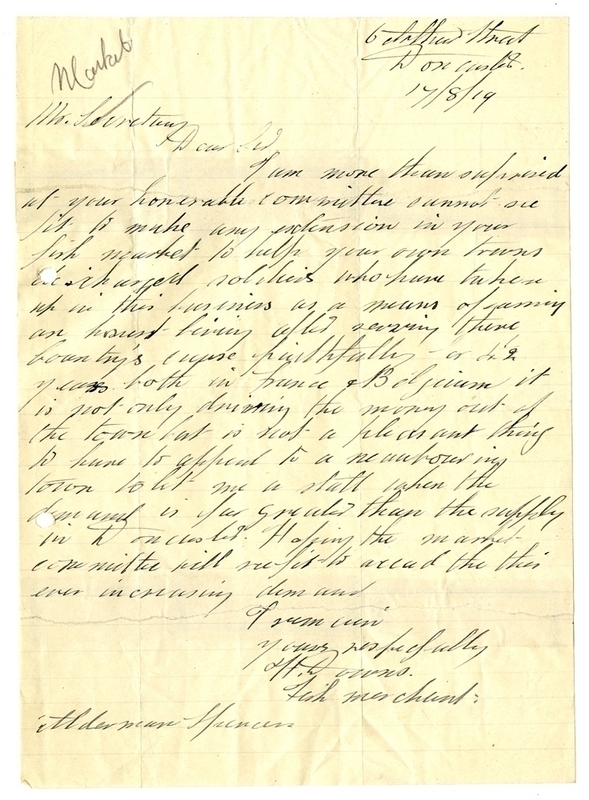 Many men returning from the war requesting stalls were being turned down, having served their country, resulting in a number of outraged letters.